The summers can be excruciating and also there are times when it's just too stuffy, be it at home or work. Let's take a look at some of the best high velocity desk fans. Most offices today use centralized air conditioning and our homes too may be air conditioned. Yet, there are those times when we need to use a humble desk fan. 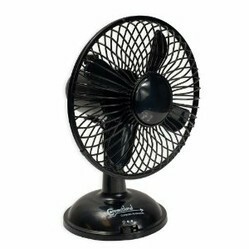 However, whenever you buy a desk fan, why not buy a high velocity desk fan? They're capable of slow speeds as well as high speeds and hence useful no matter what the weather conditions and your requirements. If you just need a fan to circulate the air around you, a low speed fan would do as well. 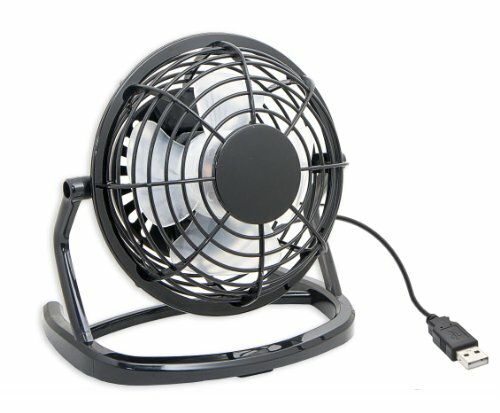 There are various kinds of desk fans - small, medium and large; rotating and stationary; electric connected as well as USB connected. Let's take a look at some of the best high velocity desk fans in each of these categories. Today, most offices have a central air conditioning system, however if you're seated in a cubicle far away form the ducts you may not get any cool air. Also, there are times when the AC doesn't work at all. We sweat it out working and living up to deadlines, who would ever want heat to just add to our woes? Desk fans are a great way to cool the air around you and air circulation would improve as well - finally a chance to breathe! 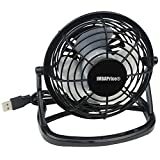 There are plenty of different kinds of desk fans as already mentioned; but, when it comes to the office, you should definitely use a USB desk fan - because, they're compatible with your PC or laptop. Plug it into the computer and they charge up and blow cool air across the cubicle as well. Speed isn't a matter of worry as they come with various speed options from slow to fast or you can call it soft to strong. That's not all, their plastic blades and neat covers provide your cubicle with a cool retro sort of look which could be pleasing to the eyes. It's better than staring at files and reports all day. The USB Mini Desktop Fan shown below is a tiny yet powerful fan and doesn't need any batteries to run. It's on as long as it's connected to your computer - Of Course, it does have a on/off switch. You don't have to pull out the cable every time you want it off. 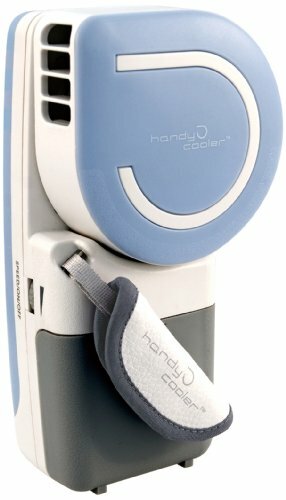 The Connectland USB Desk Fan on the other hand is a dual powered fan - either operating on a USB connection or 4 AA sized batteries. The fan has a switch for turning it on and off as well as a knob to control the speed (2 levels). What makes this fan all the more special is its ability to rotate 180 degrees or remain stationary; in addition to its horizontal movement, you can adjust its veritical position as well. 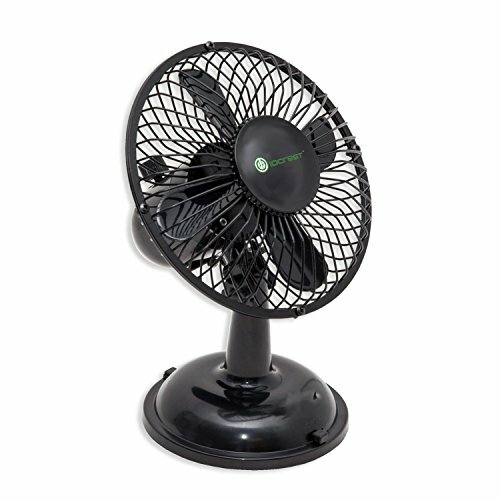 The IO Crest Mini USB Powered Table Fan is capable of a complete 360 degree adjustment and hence it's easy to control. Extremely long life as it's got a brush less motor. Just like the others it's got a on/off switch, located at the back in this case. If you're looking for the best high velocity desk fans, you'd love these tiny yet amazing fans! Our desks be it at home or in the office are often cluttered with lots of stuff. This leaves little room for any additions. That's the reason manufactures have come up with some really nifty small, quiet desk fans - pretty cool huh? 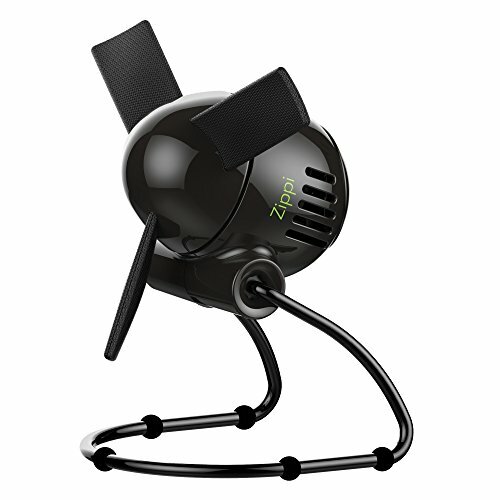 The Vornado Zippi Desk Fan is small and doesn't use any batteries, it directly plugs into a power socket. It's head is adjustable and you can alter the direction easily. Moreover, it's a small, quiet desk fan. As you'll see the blades aren't covered by a casing - no worries though, the blades are safe to touch even during operation. 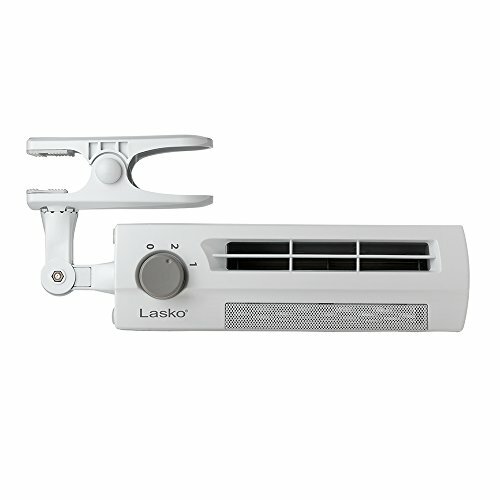 The Lasko Clip Stik Desk Fan is one amazing model and doesn't need desk space at all. It is easy to clip this fan onto a surface. It's versatile and can be rotated to direct the breeze to a desired location. It's suitable for office use as it's got a decent 2 speed fan. The Small Fan and Mini-Air conditioner is one of the smartest appliances I've come across (I don't own it though). It's got everything one would ever need in an office. Dual power and runs on 4 batteries or a USB connection - Neat huh? Well, that's just the beginning; 90 degree air flow control, add water and the cooler begins working too and most of all it's got speed control and it's damn silent! 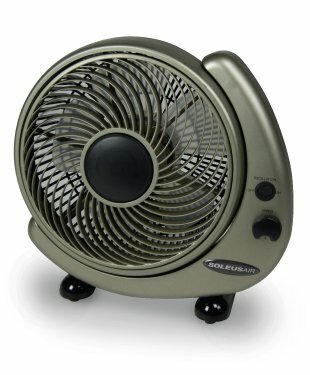 The Soleus Wall Mountable Desk Fan gives you the option of mounting it on a wall in addition to placing it on a desk. It can oscillate a total of 180 degrees and there's an easy to use oscillator toggle switch that you need to operate to either turn on or off the rotating effect of this fan. It's a true high velocity desk fan capable of being operated at 3 different speeds. 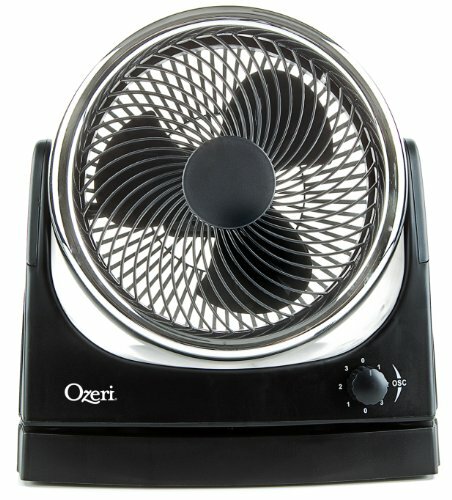 The Ozeri Brezza Oscillating High Velocity Desk Fan is designed to cool an entire room or a cubicle as the case maybe. because it rotates by 90 degrees. However, this option isn't compulsory and you can use the option on the front to control the fan and it's direction if needed. Capable of running at 3 different speeds, you can also adjust its inclination with the vertical and fix it in a particular position. 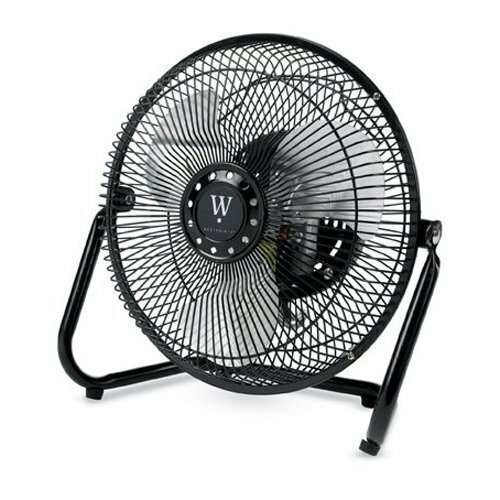 Another fan that is simple and ideal for home use is the Westpointe Electrical Personal fan. This isn't really a high velocity desk fan as it's capable of running only on a single fixed speed. As already mentioned there's nothing special in it and that's the reason it's cheap. Capable of adjusting its position with respect to the horizontal as well as vertical is it's greatest feature. Hi Katie :) I'm sure these fans or any fans for that matter would help lessen the summer burden. Thanks for the comment too, glad that you liked it. Ceiling Fan Heater Benefits: Can They Save You Money? Lasko High Velocity Floor Fan's include plenty of the finest floor fans available these days. However, if you're looking for one of them, you should know which to pick. Didn't realise that a heated ceiling fan can help reduce your power bill? Its true - read on to find out how!